Kearney Housing Development Corporation, a Nebraska based non-profit has issued an RFP for Marketing and PR Services. Kearney Housing Development Corporation (KHDC) is looking to elevate its new brand by partnering with innovative and exciting partners to help KHDC to enhance the image of the corporation. KHDC intends to create a marketing campaign that is modern, professional, and attractive to potential donors and stakeholders. Looking for new ideas to develop the marketing campaign, KHDC intends to contract with a Marketing firm. The Kearney Housing Development Corporation (hereinafter, “KHDC”) is a non-profit entity that was formed in 1994 to assist the people of the Kearney area in attaining affordable housing and related sources. Project Overview: The chosen agency shall bring a creative component to the campaign, innovative design and concepts, be knowledgeable in market trends and technology in the area of affordable housing, and have an understanding of the KHDC’s direction of the new brand and image. 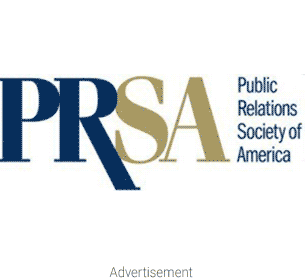 • Public Relations: Prepare public relations materials such as press releases and media advisories. The firm must be proactive in seeking information and conducting research for news stories. Strong writing and editorial skills are required. • Fundraising: Provide strategies and coordinate smart fundraising and communication solutions, including, Annual and Planned Gift Programs, Board of Directors’ Strategic Planning, Capital Campaign Feasibility Study and Management, and Special Event Management. • Social Engagement: Provide highly active and engaging presence on social media using Facebook, Twitter, lnstagram and other social networks. The firm must be creative and quickly communicate information with approval from KHDC for all posts. Postings must be coordinated across networks based on strategy of target demographic. Firm must build and/or manage the various social streams in addition to teaching KHDC staff how to manage them as well. • Events: Manage and coordinate events that engage supporters, community, donors, and the news media, and utilize events to raise awareness for the organization and encourage donor participation. • Develop market campaign for KHDC business. • Development of media communications regarding new funding awards or opportunities for affordable housing development activities. • Control traditional and social media content distribution. • Development of press releases. • Development and implementation of specific activities to ensure placement of positive new stories highlighting KHDC achievements and initiatives. • Assistance with the planning and coordinating of KHDC events. • Development of a plan to communicate and brand the KHDC mission. • Proactively manage our corporate reputation. • Benchmark our brand and measure· the impact of our marketing campaigns. Strong potential firms for this assignment could include APCO Worldwide or Burson-Marsteller.